On March 30th, the second day of Jordan Fashion Week followed in the successful lead of the opening day with shows from the likes of Tatyana Aceeva and Wenin by Salam Dajani. 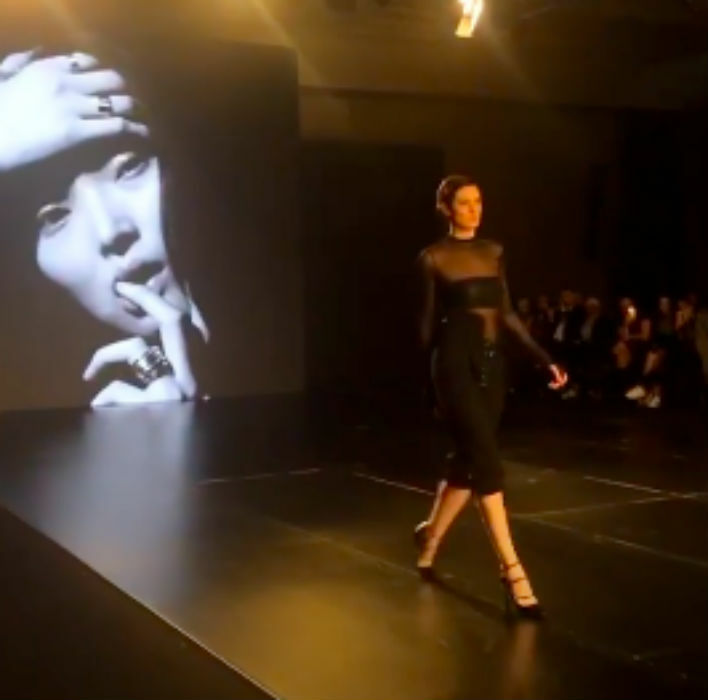 Over at The Onyx Hall within the Kempenski hotel in Amman, the second day of JFW unfolded on March 30, 2019. And this time, many more Middle Eastern fashion talents were celebrated as they took to the runway to showcase their collections. But first up on the runway was Tatyana Aceeva – a half-Iraqi, half-Russian designer based in Jordan with a passion for art as well as fashion. Her collection feature couture gowns that oozed feminine glamour with cuts that accentuated models’ hips, glitter and sequin details to leave no subtleties about the sense of glamour and shades of bold red and lilac-tinted white. Next Wenin by Salam Dajani – a Milan-born label – presented a much more wearable collection. Full of attitude, the collection explored the use of monochrome shades across cuts and fabrics in a daring manner with sheer fabric detailing, thigh-high slits and so-on. Later in the day, emerging artist and designer Fadi Zumot’s collection his the runway. The Amman-based talent exploree the manifestations and social norms surrounding femininity and masculinity in his work which intersects the worlds of fashion and art. 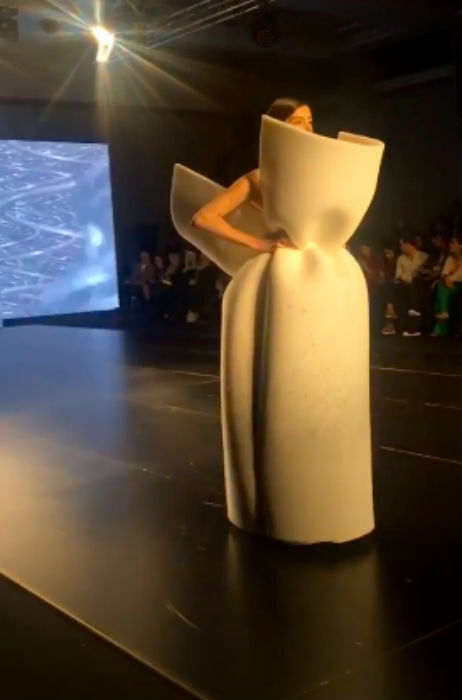 Taking to Jordan Fashion Week, he presented an out-of-the-box collection with, ironically, boxy designs and shapes that protruded from the bodies of the models, offering their silhouettes a sense of anonymity. Perfectly blending his two worlds, his collection for both men and woman had an almost origami feel to it.